Top-quality normal hen/chicken serum and purified normal IgY. 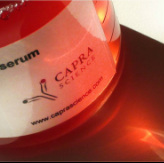 All serum products are extracted upon our customers' demand and prepared for delivery within 3-4 days. For orders >5 vials, please specify the number of vials in the comments section below. Address fields are not required for quotation requests. The P.O. number will be added to invoices and delivery notes.